Home Soul Mate Is Your Soul Mate “The One” For You? Is your soul mate the one? Is your soul mate the one person on earth that can make you feel the way that you do? The answer is yes, and no. Your soul mate is, of course, someone that makes you feel connected to them in a unique way. They make you react and feel in a way that you have never felt for another human being before. It can be both thrilling and scary. It is easy to understand why this person is the only one you would allow to make the mistakes they do. It is also easy to understand why you would put up with the things that you do with this one particular person. Your soul mate is the one you feel makes your life complete and in the process makes you feel complete. You cannot imagine your life without them. You believe your soul mate is the one for you, and in many cases, the only one. But is that true? Is your soul mate the only person that can make our life complete? 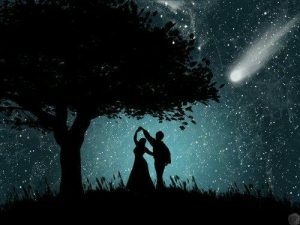 Will your life be miserable if your soul mate rejects you or denies the soul mate connection? A soul mate relationship is like no other. You feel and experience all your emotions on another level. Everything is to the extremes, both good and bad extremes. So when your soul mate makes you happy, you are ecstatic, but when your soul mate makes you miserable, plunge to the depths of despair. Since soul mate relationships do not always work out, they are not always blissful ones. Most soul mate relationships, sadly, have tons of drama while personal lessons must be learned. If those lessons are not learned, they are repeated, in an effort to create change and growth for both of you. If neither of you learns those lessons, someone is going to suffer, although that could be both of you. Unless both soul mates get their act together, the relationship gets caught in a vicious cycle, where one problems leads to many. What started out as an amazing relationship turned sour, and what was once the source of happiness has become a source of pain. So now what? Your soul mate, that you thought was the one, is now the one person making your life a living hell. They could be involved in another relationship, and refusing to give your relationship a chance. They could be turning your connection off and on like a light switch. Your soul mate could be denying your connection even exists. They may have entered your life, turned it upside own and then left without any warning. Your soul mate might not even speak to you and act as though you don’t even exist. So what happens when the one you believed was the one for you won’t give you a real chance? Don’t lose hope or faith. Things can still work out between you, and even if they don’t the probability exists that you will meet another soul mate. When it is not any fault of your own, you universe does not fault you. There will not be only one chance at true happiness and love, the universe will support you as long as you learn your lessons the way the universe wanted you to.